A Shepherd's Heart: You Are Worthy! 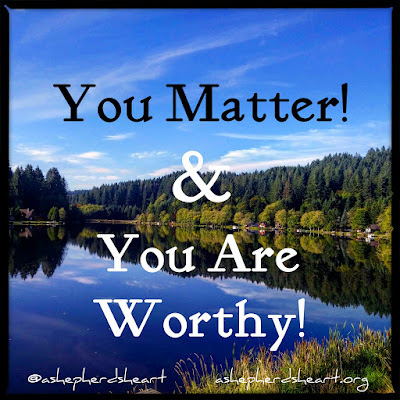 You are worthy and worth it! You are worthy my friend! P.S. If you're viewing this post via e-Mail, you'll have to visit the post via ashepherdsheart.org in order to hear the message inserted in the post.